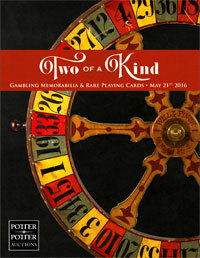 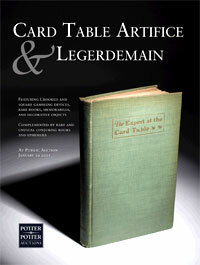 This is the auction catalog for the May 21, 2016 Potter & Potter’s “Two Of A Kind: Gambling Memorabilia & Rare Playing Cards” auction. 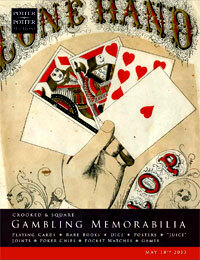 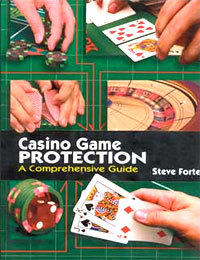 It features 549 lots of gambling themed books, equipment, prints and advertising, many of the items are very rare, gaffed and difficult to find. 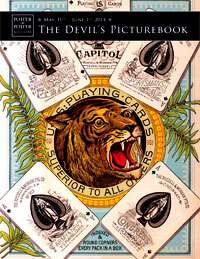 It also includes a collection of rare playing cards. 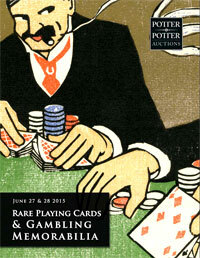 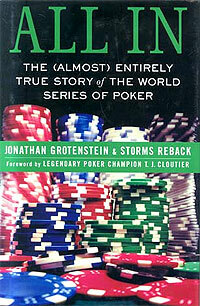 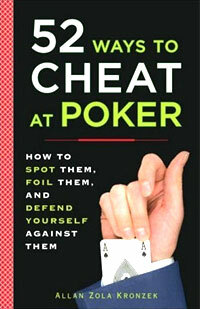 The Gambling part of the auction is part tow of Ronald Wohl’s lifelong collection/accumulation. 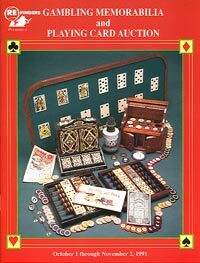 Items depicted include: Books, cards, advertisements, posters, prints, jewelry, Beer Steins, clocks, watches, chips, Faro layouts, casekeeprs, faro boxes, punch boards, card cutters, tables, card presses, dice, chuck-a-Luck, catalogs, keno, holdouts, ceramics and much more. 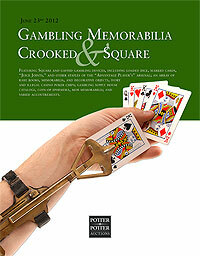 The 92-page, 8.5″x11″ catalog is in full-color and features photographs of most of the items offered for sale.